Output Capacity: 2500 - 3000 Kgs / Hour. Economics of rice filling and profitibility depend a lot on effective utilization of its by products and minimization of its processing lost. this need of rice milling industries led us to research and develop captive power plant of rice mill through gasification of rice husk (where no boilers are required). It is a unique new and cheep discovery in the field of groundnut cultivation presented by MEW. It is unique implement directly mounted to the tractor and operated hydraulically. 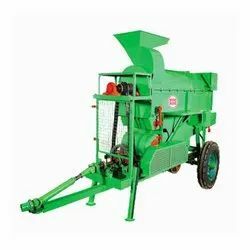 It is very easy to operate, only one for the groundnut farmer to dig-out the groundnut from the soil. This digger is complete solution for dig-out the groundnut from the soil. We are engaged in offering Stone Picker. Stone picker also called stone burier, it pick the stones from land and made it suitable for agriculture. New technology combine with very less losses. •It works very good in a collapsed field also. It collects collapsed crop easily. • It can work easily in wet field also. • Collects the well threshed and well clean seeds in the tank (with easy unloading system) OR in the bags directly. Our range of Seed Cleaner, manufactured using advance technology and hig grade material finds its application in oil extraction plants. 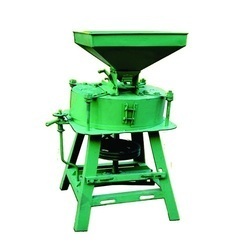 These machines are used to remove unwanted material like dust, leafs, steins etc from seeds. Continuing our think-big ideology we have acquired a 50, 000 hectare agricultural farm in the republic of Guinea in West Africa. We offer a large number of Grain Mover. These are used for bags handling, husk handling, grain handling, pharmaceutical industry and other industrial applications. Frame of these grain movers is of pressed steel section. These help in easy installation and transportation.